The use of Propyl Parabenz solutions in methanol for the validation of HPLC DAD detector linearity is well documented. Preparing these solutions in the laboratory can have hazards due to the volatility and toxicity of the methanol. Permanently heat sealed cells effectively isolate the operator fromthese problems. The spectrum of propyl parabenz, when prepared in methanol, has an absorbance peak at 257 nm. 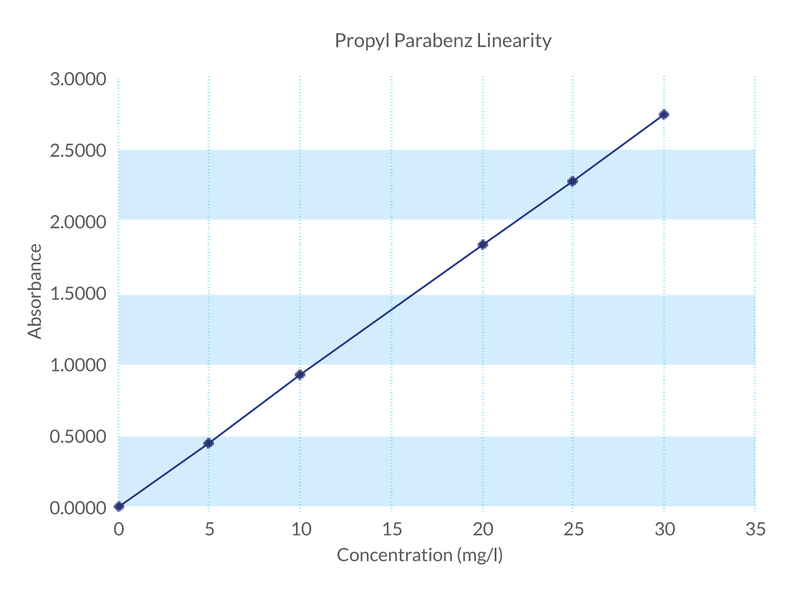 Within the concentration range 5-30 mg/l, the apparent absorbance of a series of concentrations measured at these peaks will be a linear function of concentration. 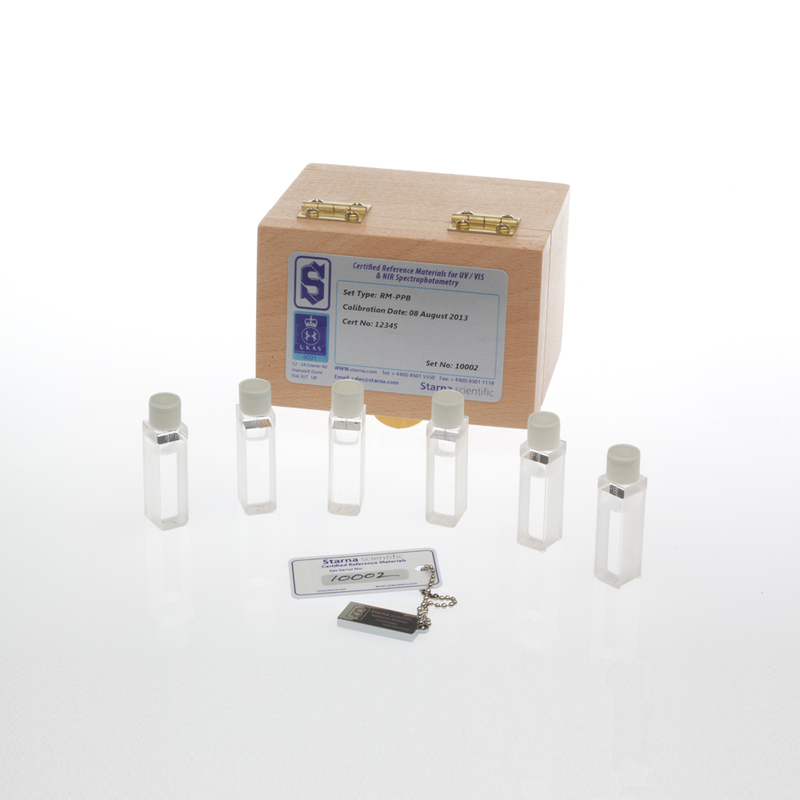 Absorbance values are certified at 257 nm for concentrations of 5, 10, 20, 25 and 30 mg/l, measured against the supplied methanol blank.